Telstra shares are trading at levels not seen since November 2013. That's approaching a 5 year low and 40% below the ~$6.50 high reached in February 2015. Charlie Aitken from Aitken Investment Management says the stock ticks a number of the signals he looks for in contrarian ideas. Not only has the share price been performing badly but the analyst community has turned bearish on the stock. Currently, 11 of the 18 ratings for Telstra are Sell or Hold. 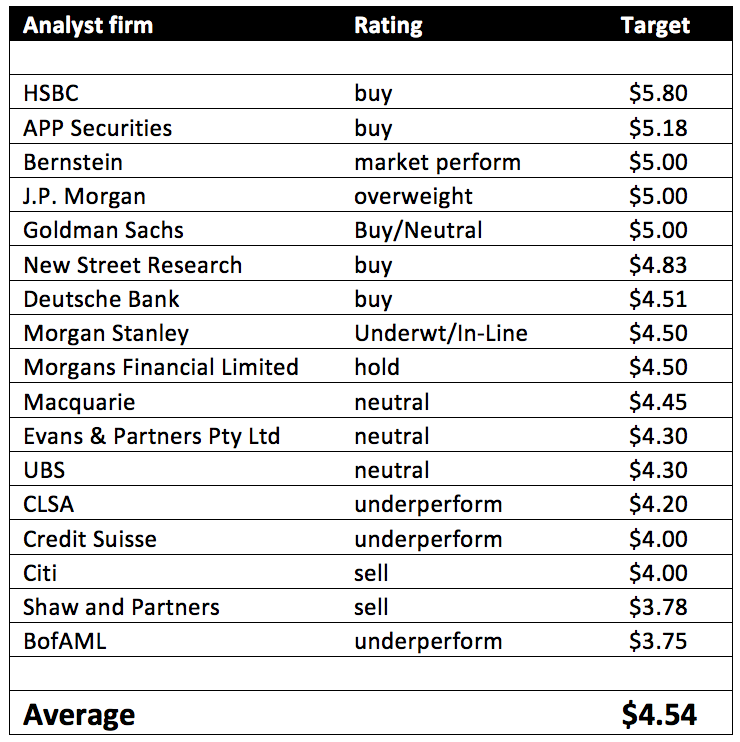 BofAML have the target price as low as $3.75. Telstra is set to report earnings on the 17th of August - reporting calendar here - and there is no doubt commentary and action around the dividend will be under the spotlight. The stock is trading on a historical yield of 7.5% with the payout of $.31 a share. Citi analysts have a sell on the stock and a target of $4.00, and recently published a report stating that they expect the dividend to fall nearly 20% to $0.25 per share. Aitken said that Telstra is showing up on his radar and is becoming an interesting proposition even with the prospect of a lower dividend. "Telstra is starting to really interest me so we're doing a bit more work on that one. In a market that's not easy to find value that could be very interesting."